I’d reserved this spot for a Woody Woodpecker short, but guess what? I couldn’t find one, other than this 90s knockoff dubbed in German, and never slated anything in its place. 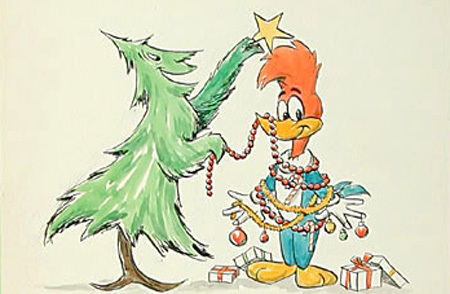 What can I say – what good’s a comprehensive cartoons blog without at least a mention of Woody Woodpecker? 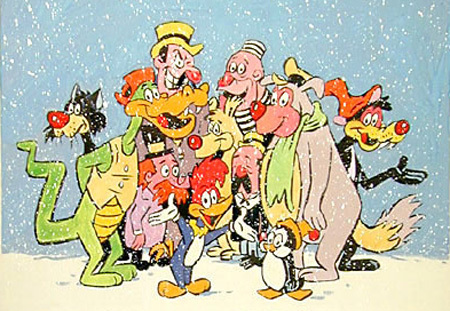 Fortunately, there are better animation sites out there, and Cartoon Brew managed to dig up these Christmas cards sent out by Walter Lantz Studios in the 1960s. Head there to see more. This made me remember watching Chilly Willy in the morning before I went to school(29 year old.) What ever happend to that show?